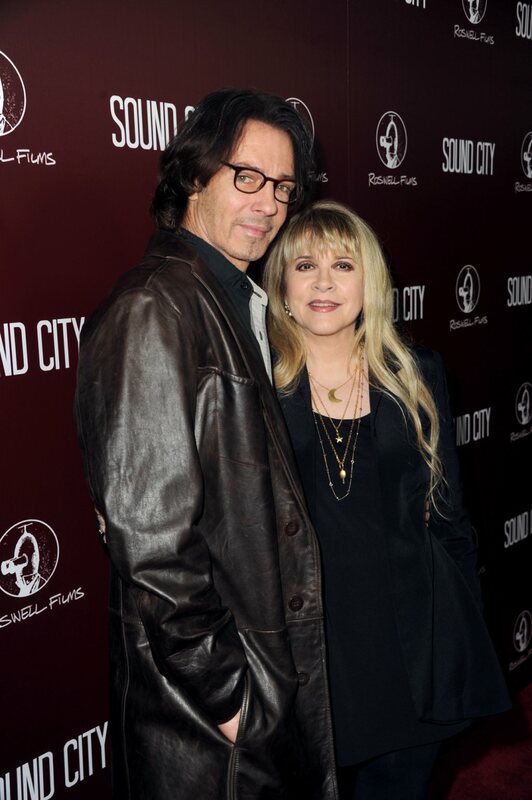 The Sound City Movie made it's official debut in theatres around the world last night (January 31st) and on-line... If you pre-ordered the flick through the Sound City website, the download and streaming of the movie became available last night. If you haven't watched it... You should! Really well put together documentary on the famous studio and its console (Congratulations Mr. Grohl!). Tons of Rock Stars in the feature with Stevie, Lindsey, Mick and Keith Olsen featured quite heavily in interview segments. 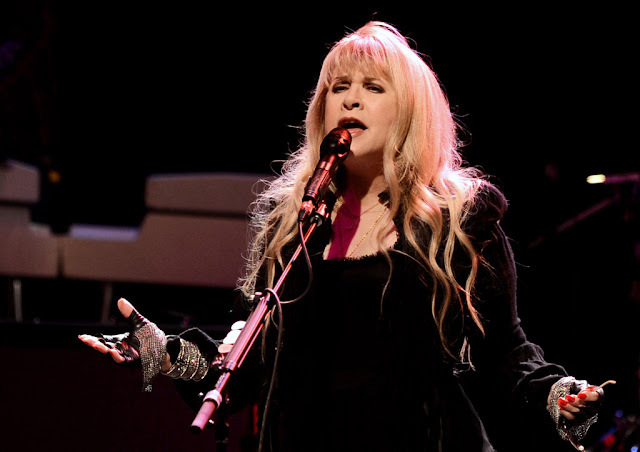 Stevie has a great segment where she's shown recording her new song "You Can't Fix This" which sounds really great! She even reads a letter (on Sound City stationery) she wrote to her family while she and Lindsey were in the studio recording Buckingham Nicks. Plus there are a lot of really great photos of early Buckingham Nicks and early Fleetwood Mac in the studio. recorded on the Neve console at Sound City. Anyway, if you like music, and or listening to stories on how some of the really great music of our time was made... Check out the movie, you'll enjoy it! Buy and download from Sound City direct, or look for it in a theatre near you using the threatre listing at the Sound City website. The DVD and Sound Track will both be released March 12th. After the LA premiere at ArcLight Cinemas Cinerama Dome in Hollywood, The Palladium rocked for a further 3 1/2 hours with many in the film playing live to a sold out crowd. Stevie Nicks was the final guest musician, performing 'Stop Draggin' My Heart Around', with Grohl filling in Tom Petty's role. She sang new song 'You Can't Fix This', from the soundtrack, which she told the crowd was about her late 18-year-old godson, who last year died of an overdose at a frat party. "In our day, we made a pact not to dance with the devil," she explained before the intense, gothic track. Nicks also sang Fleetwood Mac's 'Dreams' and 'Landslide'. The evening came to a close with a heavy, nearly 10 minute long version of 'Rumours' track 'Gold Dust Woman'. I can't imagine being a Stevie fan, a Fleetwood Mac fan or a fan of music in general and NOT seeing this film. Last night the Oriental Theatre in Milwaukee was packed with all different ages and together we watched an amazing documentary. I thought I knew everything there was to know about Fleetwood Mac & Buckingham/Nicks, but I learned something new within the first 10 minutes of the film (I'm not going to ruin it for those who have yet to see it). The theatre had the sound system turned up louder than usual (as it should for a rock documentary) and the audience enjoyed every minute of the film. 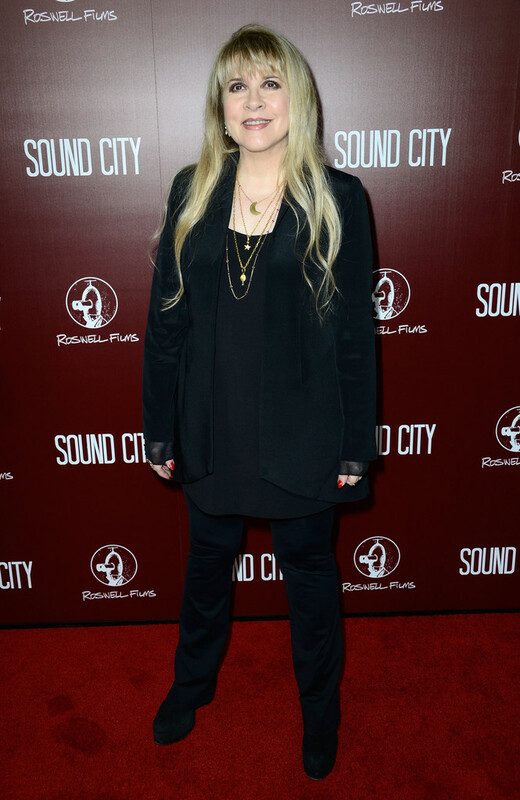 It was VERY surreal seeing Stevie on the big screen, but she looked very natural and comfortable there. Some of those b&w pics were actually taken at Trod Nossel Studios in Wallingford when they recorded a radio show in September 1975. Oops, that was, "poster #1". The Sound City photo that says 1973 Buckingham Nicks is actually 1976, with Walter Egan. She did the gold dust woman scream really well! Go Stevie!! Her voice is a lot more ragged and gritty of late, and she seems to shout rather than sing (but I put that down to the loudness of the band and size of the stage/theatre in this instance). I still think she should sing all of her songs in a lower key in order to give her voice a bit of flexibility - so she can sing in higher notes without hitting her maximum and sounding like she's screaming or really monotonous. Gotta love Stevie, an absolute living legend.